5am questions- The Lib Dem meltdown and a possible Tory Majority. I write this just after a massive moment. The Liberal Democrat Business Secretary, Vince Cable, one of the most powerful people in the party, and well known as a historic link between the left wing of that party and the Labour Party, has lost his seat to Tanya Matthias, a Doctor who ran a highly intense campaign for the Conservatives. Simon Hughes, who has held his Bermondsey seat since 1983, has already lost, and we await the result of Alexander and Laws, although we have just found out Nick Clegg has won. 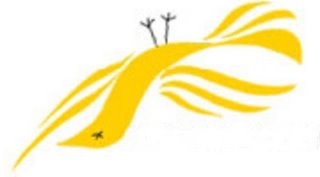 The sheer level of meltdown that has occurred to the Liberal Democrats cannot be underestimated. At this stage the exit poll prediction of ten seats seems optimistic. They could be in single figures. What they do then will depend on who is left in the House of Commons, but I would imagine those few people will need to consult with their members and see whether or not it is worth continuing their slide by continuing in government. I wonder if it would not be better, now they are back to the number of seats they had in the 1970s, to go back to the type of influence they had in the 1970s, which means supporting the Government in votes that suits them, but otherwise retrenching and building up their grassroots again. As part of that, I don’t expect Clegg to remain as leader. Tim Farron has won his seat and is the simple choice as a replacement. Meanwhile, as the night has progressed, the words of John Curtice, which are that we shouldn’t rule out the possibility of a Conservative majority, are ringing more and more true. Curtice was involved with the exit poll that rocked us so much seven hours ago, and as the results started to roll in it has become apparent that the poll may have underestimated, not overestimated, how well the Conservatives have done, and overestimated, not underestimated how Labour have done. The scale of Lib Dem meltdown feeds into that suspicion. It is possible we could see the Conservatives sneaking up to the 323 seats they need for a majority. This could of course be wrong, but is something to watch from here on in. In Scotland, the SNP have triumphed to an extent unexpected by most of the pollsters, although the May2015 website did predict the possibility of a 59 seat whitewash. What is noticeable is the level of turnout in Scotland. The Scottish people have been politicised, and we in England are going to have to listen to them. However we feel about having so many MPs from a party that we cannot vote out, the system is the system, and there are a variety of reasons for what has happened in Scotland that we cannot ignore. Anyway, I’ve got to go…just heard Ed Balls may have lost. « 5 Midnight thoughts after the three Sunderland results.